These days, businesses have a seemingly insurmountable pile of data to track, but no reasonable ways to track it all in one place. You can pay a few services to collect, analyze and display it, but they’re complicated, they store your credentials and, naturally, hold onto your data. In a world where businesses depend greatly upon diverse cloud services and apps, we believed there was a better way to help businesses visualize all their vital numbers in one place and make better decisions. That’s why we created Numerics for iPhone and iPad. 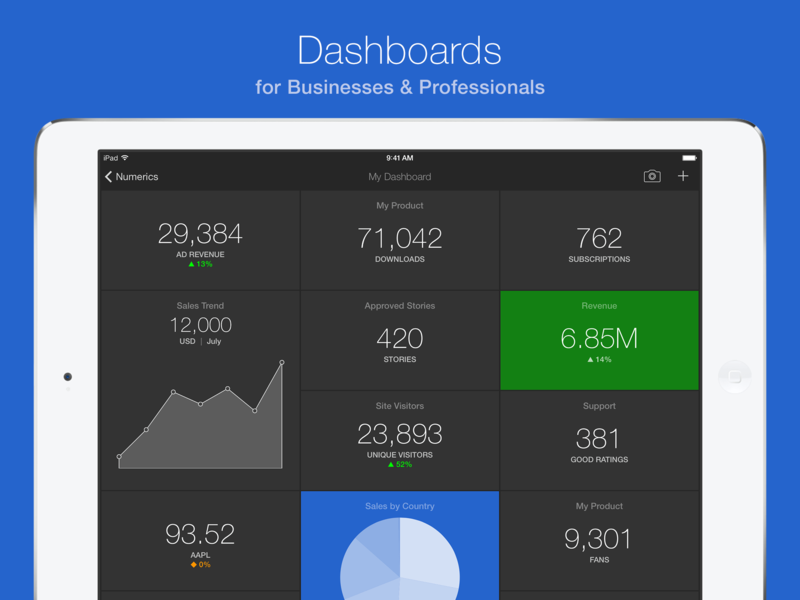 Numerics shows all your live analytics, engagement metrics, revenue, and other data from over 20 services in customizable dashboards. It’s a streamlined app that drops the enterprise-grade complexity and learning curve, giving businesses of all sizes and professionals an invaluable window into the numbers that matter most. We designed hundreds of widgets that display your data as everything from simple number tallies, to complex charts and graphs, to funnel lists, and more. At launch, Numerics supports over 20 cloud services including Google Analytics, PayPal, Basecamp, SalesForce, Google Spreadsheets, Facebook, Twitter, Chargify, Youtube, and Zendesk, with more on the way. If you absolutely need to stay on top of your data as it happens, Numerics also supports Push Notifications and iOS’s Background Refresh features, ensuring you always have the latest information with which to make the best decisions. Numerics truly is one-of-a-kind in that it is a native, local app. 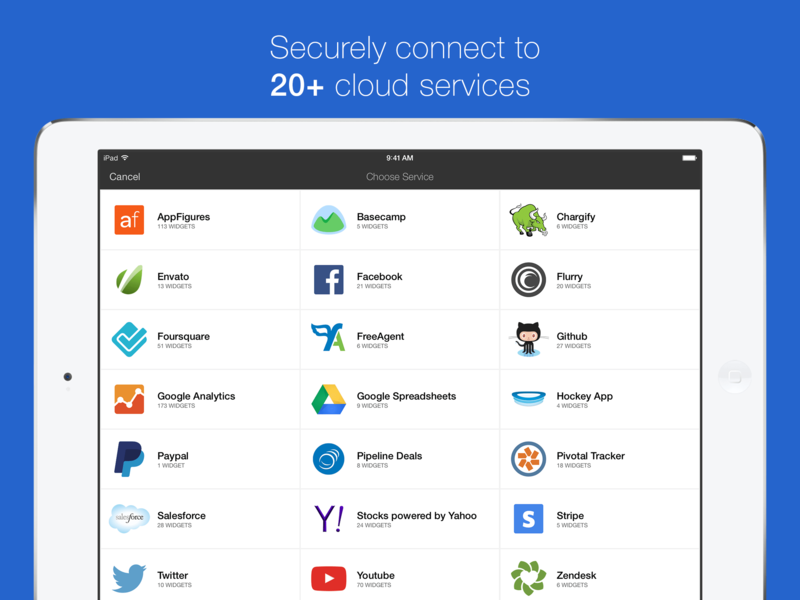 It creates a direct, secure connection between your services and your iPhone or iPad, so we never host your data or see your credentials. This is made possible by our native data analysis framework built over some fantastic APIs in iOS, which is why Numerics is exclusive to iPhone and iPad. We have plenty of options when it’s time to collaborate with coworkers and clients. 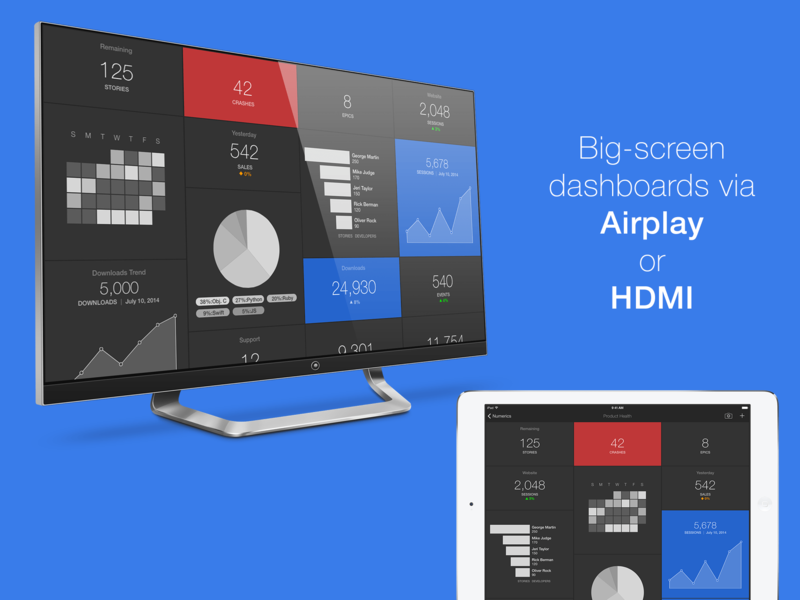 There is AirPlay mirroring to project your dashboards to an HDTV with a unique, big-screen UI, which is a great way to setup team dashboards for office room displays or to present your live numbers using meeting room projectors. You can also share snapshots of entire dashboards or individual widgets through Email, Messages, WhatsApp, Dropbox or any other collaboration app installed on your device. With all of this business power and privacy in the palm of your hand, you wouldn’t be wrong to expect to sign a contract or pay a monthly service subscription. But again, we believed there was a better way. 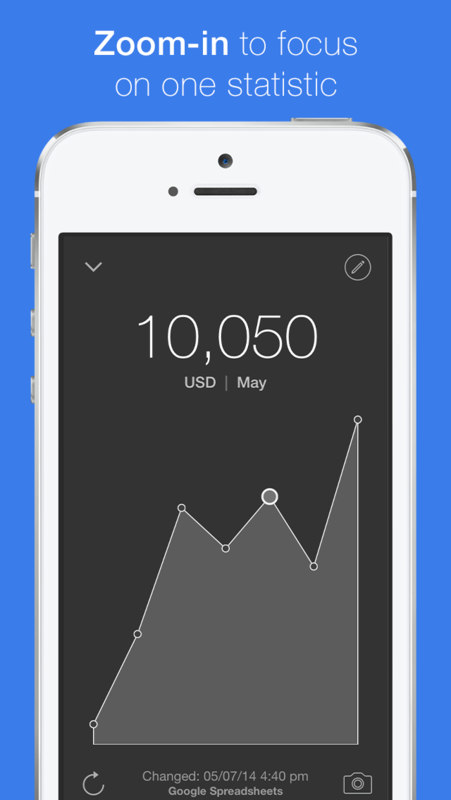 At launch, Numerics for iPhone and iPad and its hundreds of custom widgets is just $19.99. That isn’t per month or any other recurring subscription — you get it all for one single price. 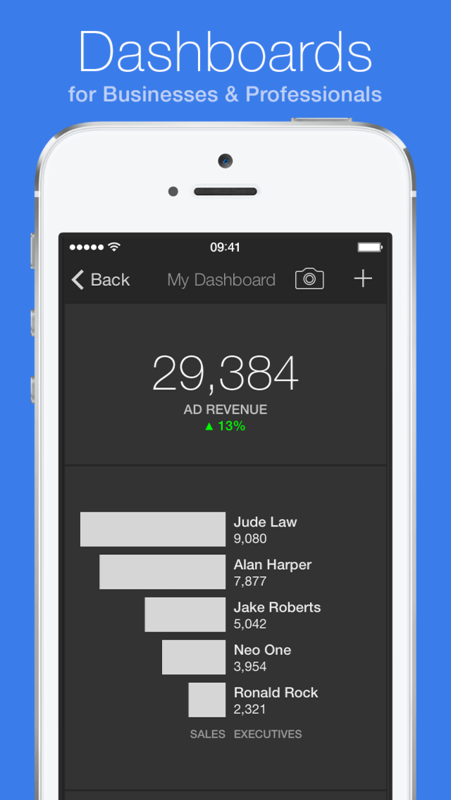 Numerics has been over a year in the making and it’s our most important app yet. We truly believe it will be an invaluable tool to you and your business, so we’re listening intently to feedback. You can email us directly or catch us on Twitter with any thoughts or service requests.